We understand that at times families are left in despair as loved ones actively continue to abuse alcohol and/or drugs. There is finally a program that will help educate families and provide solace for the continuing stress they endure regardless of whether or not their loved on is in our program, or any program. Our family program provides loved one’s access to in-network professionals that are experts in the field of substance abuse. Mission: To provide knowledge, support and family recovery for those affected by a loved one’s substance use disorder. Vision: To be a comprehensive resource for families impacted by a loved one’s active substance use disorder. 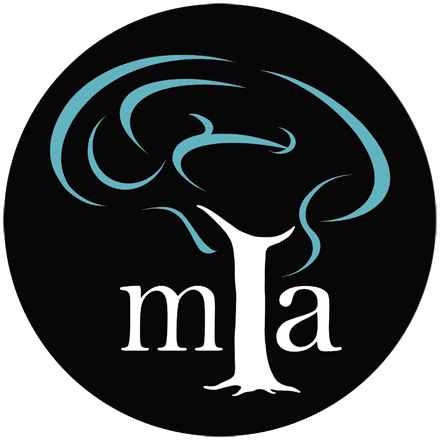 MIA Family Services provide psychoeducational groups, support groups, family counseling and other opportunities for healing in families that continue to struggle with the effects of active substance use by a loved one. Although a loved one may not be willing to enter treatment, research demonstrates that family members can reduce stress, cultivate healthier relationships and create an environment conducive to recovery separate from the substance user (Yeun and Toumbourou, 2008). 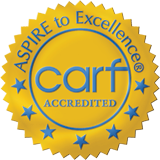 Our knowledgeable staff utilize evidenced based interventions rooted in Family Systems Theory to provide the most effective support. Families have the opportunity to better understand their own experience through sharing it with others, expressing themselves and receiving supportive feedback. Our goal is to empower families so that they may find their own peace in the midst of the storm that is created by loving someone with a substance use disorder. Open to all adults that are affected by a loved one’s substance use disorder. The group provides basic psycho-education to develop healthier alternatives for supporting yourself and others. The group meets based on participant engagement and schedules. Each group is facilitated by masters’ or Doctorate level professional family therapist. These groups offers a space for learning basic coping skills, insight into family behaviors and social connection with other families. Open to all family members regardless of their loved one’s engagement in treatment. One hour sessions will be provided weekly, bi-monthly, or monthly with a family therapist. Sessions offer a time and space to explore and address specific individual family needs beyond the small group setting. As a part of Midwest Institute for Addiction’s comprehensive treatment philosophy, we offer family components of care for our clients. Families and close loved ones are also deeply impacted by the disease of addiction and it is important to include families in addressing the effects of addiction, so that everyone can recover. As a part of our family services, we offer Family Group and Family Counseling Sessions. Family group is a service provided for the family members of recovering clients. Although informal in nature the group addresses a variety of addiction and recovery related topics. The structure of Family group includes open discussion, psychoeducation, and information sharing. The essence of Family Group meetings is to offer support, education, resources, and to be a catalyst for systemic change in recovery. Family sessions are a service provided for the recovering client and his/her family members. At Midwest Institute for addiction we understand that addiction is a disease that affects many. We have Marriage and Family Therapists who focus on creating a safe environment to foster change as families transition from experiencing addiction to recovery.